In the fall of 1899, Elizabeth Verrill, Fanny Richards, Mary Robertson and Grace Bowen held the first meeting of the Chevy Chase Reading Class. Their families were among the first residents of the new suburb of Chevy Chase, and they lived within walking distance of each other. Their husbands, all college graduates with additional advanced degrees, worked in upper level administrative positions at various federal agencies in the District of Columbia. Three of the four women worked prior to their marriages – Mary Robertson and Fanny Richards as teachers, and Elizabeth Verrill as a clerk at the Bureau of Commerce and Labor. Like many middle-class well-educated women across the U.S. at the turn of the twentieth century, they formed reading groups and other associations that drew on their education and experience, providing an opportunity to broaden their knowledge, and undoubtedly, to enjoy their love of reading. Known as the “beloved founder” of the Chevy Chase Reading Class, Elizabeth Verrill was responsible for creating the reading lists for the first five years. However, we know very little about her beyond a very loving tribute written about her at the time of her death in 1914. Her selections for the annual reading lists demonstrate an educated and wide-ranging intellect, and members of the Reading Class saluted her as "a member whose ideals have, through many years, guided us in work that has been both a profit and a pleasure." Read more HERE. 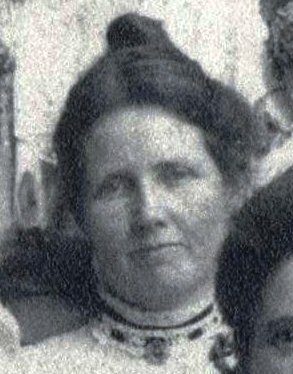 At the time of her marriage to Clift Rogers Richards in 1895, Fanny Otis Bartlett worked as a school teacher in Boston. Clift, a graduate of Boston University, was a clerk at the General Land Office, later the U.S. Department of the Interior, in Washington, DC; he worked for the Department of the Interior until his retirement in 1936. When the Reading Class was formed in 1899, Fanny and Clift had recently moved from the District to their new home at 9 West Irving Street with their two sons, Clift Jr. and Bartlett. In 1900, their daughter Miriam was born. Read more HERE. 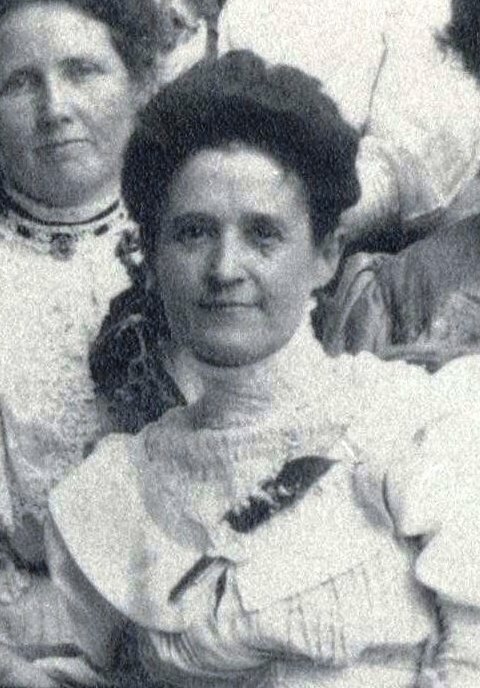 Mary Brackett Robertson, an 1890 graduate of Bates College, taught school in New York State and at Storer College in Harpers Ferry before her marriage to Thomas E. Robertson in 1897. She was a life-long member of the Chevy Chase Reading Class, still attending meetings in 1962. Active in her community and her church, she also served as the President of the Lady Managers of the Florence Crittenton Home in Washington, DC. Read more HERE. Eva Grace Robertson was the younger sister of Thomas E. Robertson, and after 1895, she lived with her brother and her parents, at the home Thomas Robertson purchased on West Melrose Street. In 1898, Grace married Jesse Chester Bowen, a statistician at the Bureau of Labor. Grace and her husband had two daughters, and their family lived in Chevy Chase for many years. Grace was a founding member the Chevy Chase Reading Class with her sister-in-law Mary Robertson, and both Grace and Jesse Bowen were active members of the Chevy Chase Free Library Association, and the Chevy Chase Literary Club. Read more HERE. By the time of the photograph of Reading Class members in 1905, the Chevy Chase Reading Class had grown to fifteen members. Below are brief biographies for some of the other members. Helen was born in Baltimore and married Charles C. Tucker, a Washington lawyer, in 1898. The Tuckers lived at 12 E. Lenox Street with their two daughters from 1903-1910. Read more HERE. Born in Minnesota, Hattie was a popular soloist and songwriter as a young woman in Washington society. 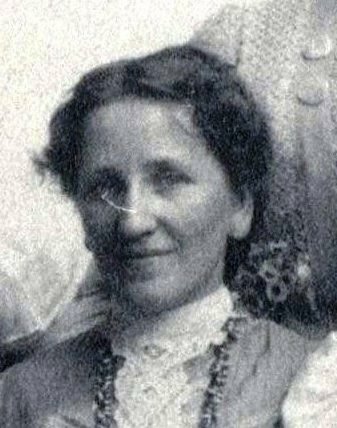 She married writer/lawyer Clifford Howard in 1893, and they moved to their home in Chevy Chase at 6000 Connecticut Avenue in 1903. The Howards moved to California in 1906. Read more HERE. 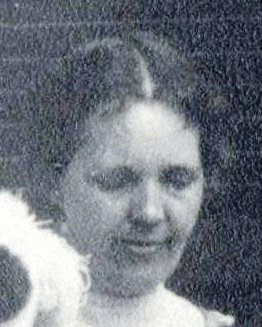 Gertrude McNulty, a graduate of Mt. Holyoke College, married claims attorney Eugene E. Stevens in 1896. The Stevens lived in several locations in Chevy Chase, including West Lenox Street, Underwood Street, Thornapple Street, and Williams Lane. Gertrude was active in several state and local political and civic organizations. Read more HERE.